New actions on climate, textiles and gender are among a range of initiatives introduced by Fairtrade over the past year and showcased in its annual report released today. The report, “Driving Sales, Deepening Impact”, highlights Fairtrade’s commitment to deliver more impact for farmers and workers and to enable them to have a fairer share in global supply chains. The report reflects Fairtrade’s belief that the biggest driver of economic improvement is higher Fairtrade sales. 2015 saw significant growth in sales of coffee (18 percent), bananas (12 percent) and cocoa (27 percent). Last year there were 1.6 million Fairtrade farmers and workers across 75 countries, benefitting from an estimated €138 million in Fairtrade Premium – the extra sum of money paid on top of the selling price that farmers and workers invest in business or community projects of their choice. But it wasn’t good news for everyone – among the hardest hit last year were sugar farmers, largely as a result of recent European Union sugar policy changes. However, sales alone will not provide solutions to tackling inequality, creating opportunity and ending exploitation. Fairtrade is not naive about the challenges: many of the problems faced by farmers and workers are deeply ingrained after generations – sometimes centuries – of marginalization and exploitation. That’s why the annual report also shows how Fairtrade is responding to the needs of farmers and workers by ramping up its work on climate change, textile and cotton supply chains, gender equality and child protection. Children and young people are at the heart of Fairtrade’s Youth Inclusive Community Based Monitoring and Remediation (YICBMR) system on child labour, which is being rolled out in eleven countries. 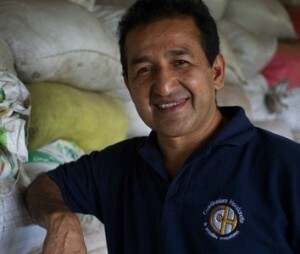 The recently-refreshed gender strategy aims to empower both men and women farmers, workers and their employers to build communities where everybody feels equally valued – for example in El Salvador, where a Leadership Training & Women’s Empowerment School has been set up for coffee farmers.